3. 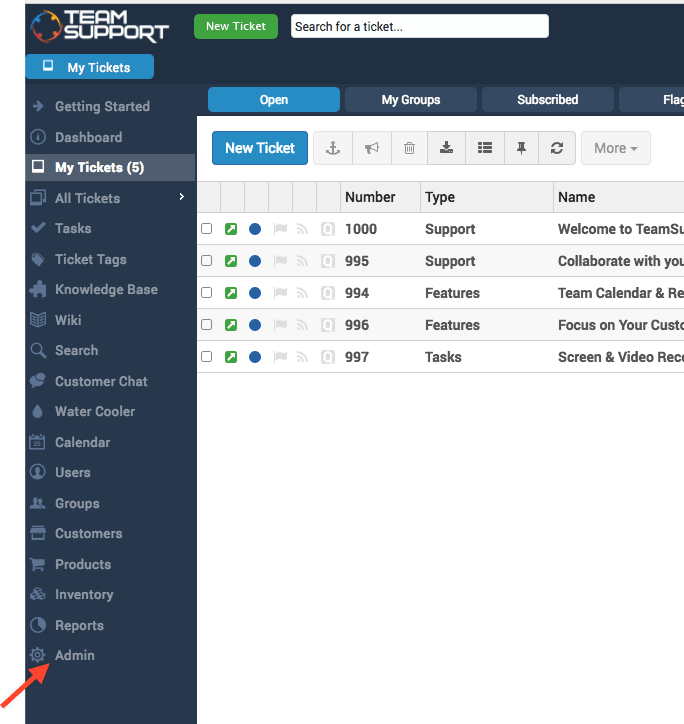 Click on "Integration" menu in the top bar and then click on "TeamSupport API"
5. 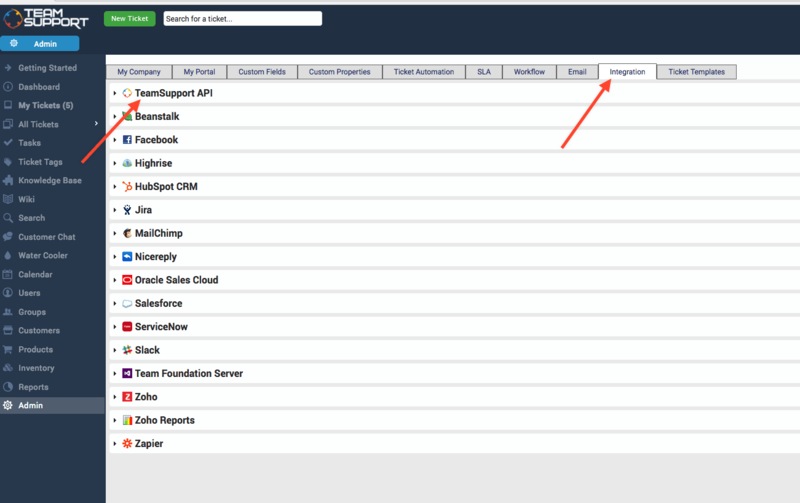 Copy the API Key from the field "TeamSupport Token"